Expo 2010, officially the Expo 2010 Shanghai China, was held on both banks of the Huangpu River in Shanghai, China, from 1 May to 31 October 2010. 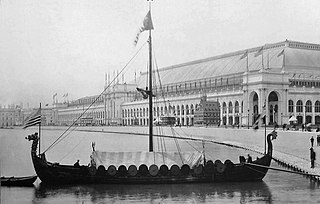 It was a major World Expo registered by the Bureau International des Expositions (BIE), in the tradition of international fairs and expositions, the first since 2000. The theme of the exposition was "Better City – Better Life" and signifies Shanghai's new status in the 21st century as the "next great world city". The Expo emblem features the Chinese character 世 ('world', Chinese "shì") modified to represent three people together with the 2010 date. It had the largest number of countries participating and was the most expensive Expo in the history of the world's fairs. The Shanghai World Expo was also the largest World's Fair site ever at 5.28 square km. By the end of the expo, over 73 million people had visited – a record attendance – and 246 countries and international organizations had participated. On 16 October 2010, the expo set a single-day record of over 1.03 million visitors. Shanghai has been one of the main cities envisioned to host the expos for some time. Many scholars have written about the possibility and made suggestions in books. Unofficial participation in fairs outside China have happened since 1851. In 1910, the Qing dynasty decided to host China's first fair with the 1910 Nanyang industrial exposition. Shanghai scored the highest in each of the four rounds of voting at the 132nd Meeting of the Bureau of International Expositions in Prince's Palace of Monaco, Monte Carlo, Monaco, with Yeosu, South Korea maintaining second place. Yeosu later won the bid to host Expo 2012, a three-month specialized world expo. In 2004, the Chinese central government established the Shanghai World Expo Organising Committee as the organization dedicated to host the event. The Organising Committee set up an Executive Committee which is responsible for the execution and management of expo affairs. Besides, the Shanghai World Expo Coordination is founded for the daily affairs of the Executive Committee. The site of the event was the Nanpu Bridge–Lupu Bridge region in the center of Shanghai along both sides of the Huangpu River. The area of the Expo 2010 covers 5.28 km2. After winning the bid to host the Expo in 2002, Shanghai began a monumental task to reshape the city. More than $48 billion  was spent for the preparation, more than the cost of cleaning up Beijing in the preparations for the Olympics in 2008. Shanghai began clearing 2.6 square kilometres along the Huangpu River; that involved moving 18,000 families and 270 factories, including the Jiang Nan Shipyard, which employs 10,000 workers. Six new subway lines were opened between 2008 and 2010; four thousand brand new taxis were added in the month before Expo2010 opened and the city's buildings along the river were decorated with more energy-efficient LEDs. During the expo, the expo site was crowded with national pavilions, sculpture gardens, shops, a sports arena and clam-shaped performing arts centre. Shanghai trained more than 1.7 million volunteers and adopted Olympic-level security measures, adding metal detectors to subway entrances and screening cars entering the city. The Shanghai Expo also featured an online version of the expo grounds featuring 3D renderings of the expo grounds, and a 3D version of the pavilion interior and offerings. The Shanghai World Expo provided an unparalleled opportunity for the tourism industry. During 2010’s Spring Festival, Shanghai received 2.79 million tourists, an increase of 12 percent from the previous year, resulting in record high numbers of visitors. Overall Shanghai’s tourism revenue achieved an increase of 13 percent year on year during Spring Festival, resulting in RMB 2.1 billion in total revenue. 192 countries and 50 organizations registered to participate in the Shanghai World Expo. A record number. Over 73 million people visited Expo 2010 during the 184-day event, breaking the previous record of 64 million visitors set by Expo 70 in Osaka. Organizers had expected 70 million visitors at the start of the expo. About 5.8 percent of the visitors, or 4.25 million, were foreigners. Shanghai spent 11.964 billion yuan in operating cost to host the event, making it the most expensive World Expo ever, but the organizers still made an operating profit of more than 1 billion yuan (US$157 million) thanks to the record attendance. The total revenue was 13.014 billion yuan, including 7.36 billion yuan in admission fees and almost 4 billion yuan in sponsorship income. However, the city invested another 19.74 billion yuan to prepare and construct the 5.28 square kilometer site, exceeding the budget of 18 billion yuan. The opening ceremony was held in the evening of 30 April 2010 attended by dozens of world leaders. The ceremony consisted of an indoor and outdoor component. Jackie Chan, Lang Lang, and Andrea Bocelli were among the performers in the indoor component. The event featured an outdoor display of fireworks, lasers, and dancing fountains after a performance by singers and dancers. The outdoor ceremony was produced by David Atkins Enterprises. 6,000 LED balls were floated into the Huangpu River representing fish. Organisers called the outdoor show "the largest searchlight display in history, the largest collection of multi-coloured laser firepower ever assembled in one place, the world’s largest LED screen, one of the largest dancing water fountains ever, and the “largest light show ever attempted”." President Hu Jintao inaugurated the opening of the Shanghai World Expo. The closing ceremony was held on 31 October 2010, with numerous world leaders in attendance including Wen Jiabao, Prime Minister of China, Sri Lanka’s President Mahinda Rajapaksa, Viktor Orbán, Prime Minister of Hungary, Mari Kiviniemi, Prime Minister of Finland, Hubert Ingraham, Prime Minister of Bahamas, Pakalitha Mosisili, Prime Minister of Lesotho, Ram Baran Yadav, President of Nepal and Ban Ki-moon, General Secretary of the United Nations. About 20,000 performances were set to be staged between 1 May and 31 October in 2010, many singers present at the expo song writing and preparation process since 2008. Performers included Alan Tam, Gigi Leung, Stephanie Cheng, Khalil Fong, Hacken Lee, Denise Ho, Hins Cheung, Vincy Chan, Philadelphia Boys Choir, National Boys Choir of Australia, Salut Salon, the Cross Border Orchestra of Ireland and the Harvard Din & Tonics, and others. The official theme songs of the Expo were "City" by Jackie Chan and "Better City, Better Life" by Quincy Jones. The theme song for Shanghai World Expo volunteers was "By Your Side" (simplified Chinese: 在你身边; traditional Chinese: 在你身邊; pinyin: zài nǐ shēn biān) by Eason Chan. The theme song for the Shanghai World Expo for the Chinese culture was "The World Watching China", sung by Chinese singer Han Geng. The theme song for Norway was "Powered By Nature" which was composed by Rolf Løvland and performed by his group Secret Garden. The song was recorded for their 2011 album Winter Poem. Haibao was the mascot of the Shanghai Expo 2010. It means treasure of the sea and was based on the Chinese character for man or person, "人". Some said that Haibao resembles Gumby, but the expo's secretariat said that it was an original design chosen through a competition and that they had never heard of Gumby. The main building – called "Expo Axis" – has the world's largest membrane construction and was built by SBA (architects) and Knippers Helbig (structural engineers). The building consists of some steel-glass funnels with a 1,000 m long membrane construction. The main construction was completed at the end of 2009. There were five central theme pavilions at the Expo 2010, exploring different aspects of urban development. They were called Urban Footprints, Urban Planet, Urbanian, City Being, and Urban Future. National pavilions included: Algeria, Angola, Argentina, Australia, Austria, Bangladesh, Belarus, Belgium, Bosnia and Herzegovina, Brazil, Brunei Darussalam, Canada, Cambodia, Chile, China, Colombia, Costa Rica, Croatia, Cuba, Czech Republic, Denmark, Dominican Republic, Ecuador, Egypt, Estonia, Finland, France, Germany, Greece, Hong Kong, Hungary, Iceland, India, Indonesia, Iran, Iraq, Ireland, Israel, Italy, Japan, Jordan, Kazakhstan, Kenya, Kyrgyzstan, Latvia, Lebanon, Libya, Lithuania, Luxembourg, Macau, Macedonia, Malaysia, Malta, Mexico, Monaco, Mongolia, Morocco, Myanmar, Nepal, Netherlands, New Zealand, Nigeria, North Korea, Norway, Oman, Pacific Pavilion, Pakistan, Palestine, Peru, Philippines, Poland, Portugal, Romania, Russia, Saudi Arabia, Serbia, Singapore, Slovakia, Slovenia, South Africa, South Korea, Spain, Sri Lanka, Sweden, Switzerland, Taiwan, Thailand, Timor-Leste, Tunisia, Turkey, Turkmenistan, Ukraine, United Arab Emirates, United Kingdom, United States, Uruguay, Uzbekistan, Venezuela, Vietnam and Yemen. Corporate pavilions included: Aurora Pavilion, Broad Pavilion, China Railway, China State Shipbuilding Corporation Pavilion, Coca-Cola Pavilion, Cisco Pavilion, Information and Communication Pavilion, Oil Pavilion, Japanese Industry, PICC, Private Enterprises Joint Pavilion, Republic of Korea Business, SAIC-GM Pavilion, Shanghai Corporate Joint Pavilion, Space Pavilion, Space Home Pavilion, State Grid and Vanke Pavilion. The Expo also included a pavilion for the Red Cross and Red Crescent and several others. The Expo also included Chinese displays about Hong Kong and Ningbo. The Expo introduced numerous urban best practices and concepts from all over the world which the organisers hope will be a lasting legacy for better urban life in China and around the world. It advocated for future development to focus on environmental sustainability, efficiency and diversity. The innovations and achievements of the event were summarised in the Shanghai Declaration issued by the participants of the Expo. The declaration also nominated the Shanghai Expo’s closing day 31 October as "World Better Cities Day". United Nations Secretary-General Ban Ki-moon stated at the closing of the Expo, "Thanks to this Expo, millions of people learned about possibilities for making our cities healthier and safer, cities that better integrate nature and technology, cities that offer their citizens cleaner air and water, and better lives all around". Within Shanghai, the grounds of the former Expo site now constitute the Expo Park, including the former China Pavilion. The Bureau of International Expositions (BIE) and the Shanghai government have announced plans to construct the world's only official World Expo Museum in Shanghai, on the Puxi side of the expo site. Construction began in 2012, and the museum opened its doors on May 1, 2017. More than 200 participants from Expo 2010 have donated over 30,000 exhibits to the future museum. The BIE has added into its formal requirements that all future Expo bidders shall support the new Expo Museum. The Shanghai Expo was touted by the Chinese government as yet another first-rate global scale event, similar in significance to the Beijing Olympics, which would symbolise the economic and political rise of China in the 21st century. The event would demonstrate to both the Chinese populace and foreign nations the enormous progress of China's urban development in the heart of the nation's economic hub of Shanghai. The event received extensive media coverage in the Chinese media both in the lead up and during the World Expo. According to China analyst Tom Doctoroff, “In terms of what the city was able to achieve, the Chinese were impressed. Shanghai stepped up a level in internationalization”. Outside China, the Expo propelled Shanghai onto magazine covers, newspaper front pages and television programmes at a time when it is laying the groundwork to become an international financial centre by 2020. A group of NGOs protested a month before the expo against the alleged displacement of 18,000 families in the Shanghai area in connection with the Expo. Dissident Feng Zhenghu was detained in mid April 2010 for threatening to publicly seek redress for them in the courts. According to the U.S. government-run Congressional-Executive Commission on China, Shanghai authorities used the expo as an excuse to conduct a surveillance, propaganda, and detention campaign against members of the banned Falun Gong spiritual group. Denmark controversially sent the original Little Mermaid statue from Copenhagen to the expo, putting a video replica recorded by dissident Ai Weiwei in its place. Some observers criticized the Hong Kong and Macao Affairs Office's payment for the 9 Hong Kong undersecretaries to inspect infrastructure projects and hold discussions on city-to-city cooperation. Six legislators from the pro-democracy camp boycotted an invitation to the expo by the Shanghai government because of the issue of political reform and the Hong Kong by-election, 2010. The Chinese government postponed the planned visit of 1,000 Japanese youths to the expo in September because of the 2010 Senkaku boat collision incident, which Japanese prime minister Naoto Kan called regrettable. State employees were given free one-day vouchers to the expo, and according to one worker, threatened with wage cuts, in order to fulfill the target of 70 million visitors. Long lines at the Germany pavilion caused visitors to shout "Nazi, Nazi" and attack workers, according to general commissioner for Germany's pavilion Dietmar Schmitz. Free tickets to an expo show featuring K-pop group Super Junior allegedly caused a stampede that injured 100 people, which spokespersons for the expo and the Korean pavilion denied. ^ a b "Shanghai World Expo showcases China's soft power". Associated Press. ^ "Shanghai World Expo wins worldwide applause". Xinhua. 31 October 2010. Retrieved 7 January 2014. ^ HK.huaxia.com. "HK.huaxia.com." 南洋勸業會：南京一個世紀前的世博會. Retrieved on 8 May 2010. ^ English.peopledaily.com.cn. "English.peopledaily.com.cn." Shanghai Wins World Expo 2010 Bid. Retrieved on 8 May 2010. ^ "Institutions and Organisations". the Official EXPO website. Archived from the original on 18 March 2013. ^ "You've come a long way, baby: Shanghai finds its big feat". The Sydney Morning Herald. 1 May 2010. ^ a b "City's record-breaking Expo turns in a profit". Eastday. 1 October 2011. Archived from the original on 15 October 2011. ^ Higgins, Andrew (1 May 2010). "Chinese officials open Shanghai Expo". Washington Post. ^ "World Expo Aims To Woo Chinese Customers". Sky News. ^ "Shanghai marks comeback with Expo extravaganza". Associated Press. ^ / China / Economy & Trade – Shanghai adds pyrotechnic power to Expo. Ft.com (28 July 2010). Retrieved on 30 September 2010. ^ Onlanka News – President Rajapaksa participates EXPO 2010 Closing Ceremony «. Onlanka.com (31 October 2010). Retrieved on 19 January 2011. ^ En.expo2010.cn. "En.expo2010.cn Archived 9 March 2012 at the Wayback Machine." Hong Kong musicians invited to write Expo tunes. Retrieved on 17 May 2010. ^ "Expo song released for 30-day countdown". Xinhua News Agency. 1 April 2010. Retrieved 21 April 2010. ^ mainichi (19 April 2010), 岡本真夜：上海万博ＰＲ曲に盗作された疑いの「そのままの君でいて」が正式決定 Archived 21 April 2010 at the Wayback Machine. Retrieved 20 April 2010. ^ "Secret Garden – New Album and Norwegian Winter Concert". SecretGarden.no. Retrieved 3 November 2011. ^ Shanghai 2010 Boulevard / SBA international + Knippers Helbig. ArchDaily. Retrieved on 30 September 2010. ^ Pavilions Archived 25 November 2012 at the Wayback Machine. ^ Zhang Fengmin (1 November 2010). "Expo legacy will live on". Archived from the original on 1 January 2011. Retrieved 20 January 2011. ^ "World Expo Museum opens its doors". Bureau International des Expositions. Retrieved 30 May 2017. ^ "City gets official Expo museum". Shanghai Daily. 25 September 2011. ^ "Expo 2010's Legacy: What Did Shanghai Gain?". 24 November 2010. Retrieved 20 January 2011. ^ "China says goodbye to World Expo". The Independent. 29 October 2010. Retrieved 7 January 2014. ^ United Nations Watch, Joint NGO Appeal for 18,000 victims of forced evictions by 2010 Shanghai World Expo Archived 9 March 2012 at the Wayback Machine, July 22, 2010. ^ Atimes.com. "Atimes.com." Shanghai Expo - a message for all. Retrieved on 2010-01-23. ^ Congressional Executive Commission on China, Annual Report, 2010. ^ Cbsnews.com. "Cbsnews.com." Little mermaid taking trip to China. Retrieved on 2010-01-23. ^ South China morning post. 4 September 2010. Political assistant's trip to mainland stirs scorn. ^ South China Morning Post. 13 April 2010. ^ South China morning post. 21 September 2010. China pulls plug on Japanese youth tour. ^ Deutschenachrichten.com. "Deutschenachrichten.com." Chinese brawl, hurl Nazi insults at Germany's expo pavilion. Retrieved on 2010-01-23. ^ Chinese.rfi.fr. "Chinese.rfi.fr." 世博德国馆遭游客辱骂扬言要闭馆 . Retrieved on 2010-01-23. ^ The Standard HK. "The Standard.com Archived 29 June 2011 at the Wayback Machine." Korean crush sparks ticket rethink at expo. Retrieved on 2010-01-23. Wikimedia Commons has media related to Expo 2010. The Bureau International des Expositions (BIE) is an intergovernmental organization created to supervise international exhibitions falling under the jurisdiction of the Convention Relating to International Exhibitions. Taejon Expo '93 was a three-month international exposition held between Saturday, August 7, 1993 and Sunday, November 7, 1993 in the central South Korean city of Daejeon. Expo 2005 was the World's Fair held for 185 days between Friday, March 25 and Sunday, September 25, 2005, in Aichi Prefecture, Japan, east of the city of Nagoya. It was a Specialized International Exhibition under the scheme of the 1972 protocol of the Convention relating to International Exhibitions. Japan has also hosted Expo'70 Osaka, Expo '75 Okinawa, Expo'85 Tsukuba, and Expo'90 Osaka. Expo 2012 Yeosu Korea was an International Exposition recognised by the Bureau International des Expositions (BIE) held in Yeosu, South Korea which opened May 12, 2012 and ran until August 12, 2012. The theme of the Expo was “The Living Ocean and Coast” with subthemes of “Preservation and Sustainable Development of the Ocean and Coast,” “New Resources Technology,” and “Creative Marine Activities.” There were 105 participating countries, international organizations, and 8,203,956 visitors. Expo 2020 is a World Expo to be hosted by Dubai in the United Arab Emirates, opening on October 20, 2020. The Bureau International des Expositions (BIE) general assembly in Paris awarded Dubai as the host on November 27, 2013. Expo '90 or The International Garden and Greenery Exposition, organized as a part of the International Expositions Convention, was the first large-scale international gardening exposition in Asia and focused on the theme of the "Harmonious Coexistence of Nature and Mankind." The exposition was held in Tsurumi Ryokuchi, Osaka for 183 days, from Sunday, April 1 to Sunday, September 30, 1990. The convention included participation from 83 countries and 55 international organizations and attracted over 23,126,934 visitors. The Expo Axis is one of the world's largest membrane roofs. It spanned the entrance and boulevard building of the World Exposition 2010 in Shanghai. This article contains the details of the pavilions in Expo 2010. The 2010 World Expo Shanghai is the largest Expo site ever, covering more than 5.2 square kilometers and containing more than 70 exposition pavilions. More than 190 countries and 50 international organizations registered to participate in the 2010 Shanghai Expo. After the six-month run, the Expo had attracted well over 70 million visitors. The Expo 2010 is also the most expensive fair in the history of World's Fair, with more than 45 billion US dollars invested from the Chinese Government. The 2010 Shanghai Expo opening ceremony (中国2010年上海世界博览会开幕式) occurred on April 30, 2010 at the Shanghai World Expo Cultural Center in Shanghai, People's Republic of China, a day before the opening of the Expo 2010.The opening ceremony was planned and designed by ECA2`s founder,Yves Pepin. The China pavilion at Expo 2010 in Pudong, Shanghai, colloquially known as the Oriental Crown, was the largest national pavilion at the Shanghai Expo and the largest display in the history of the World Expo. It was also the most expensive pavilion at the Shanghai Expo costing an estimated US$220 million. The pavilion showcased China's civilisation and modern achievements by combining traditional and modern elements in its architecture, landscaping and exhibits. After the end of the Expo 2010, the building was converted to a museum. On October 1, 2012, it was reopened as the China Art Museum, the largest art museum in Asia. Nanjing International Expo Center is an exposition center and also a landmark in Nanjing, Jiangsu Province, China. It has an exposition area of 120,000 square meters. The Expo Center facilities include six exposition pavilions, 38 conference rooms and a multi-function pavilion, and it is capable of hosting exhibitions with over 4,500 international standard large-scale exhibition booths. Two more exposition pavilions, a business hotel and a conference center hotel are planned. Shanghai Expo Park is the park in the city of Pudong Shanghai. It is situated in Pudong New Area. It is located near the Mercedes-Benz Arena. The Shanghai Expo Mart, formerly the Africa Joint Pavilion, is an exhibition hall near the Huangpu River in Shanghai, China. The hall was originally constructed for Expo 2010 and consists of 21,000 square metres (230,000 sq ft) of indoor area and 3,600 square metres (39,000 sq ft) of outdoor space. The hall underwent renovation after the expo, with renovations finishing in November 2011.